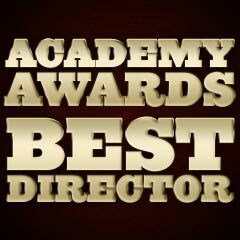 No African-American (or black) has ever won Best Director. The only female Best Director winner was Kathryn Bigelow for Best Picture-winning The Hurt Locker (2009). A number of films directed by women have been nominated for Best Picture (without corresponding Best Director nominations), including Randa Haines' Children of a Lesser God (1986), Penny Marshall's Awakenings (1990), Barbra Streisand's The Prince of Tides (1991), Valerie Faris' (with Jonathan Dayton) Little Miss Sunshine (2006), Lone Scherfig's An Education (2009), Lisa Cholodenko's The Kids Are All Right (2010) and Debra Granik's Winter's Bone (2010). Note: A sampling of the most significant foreign-born directors (that have been nominated or won) are included here (there are many others from the UK or Central/Western Europe - see below): Pedro Almodóvar (Spain), Roberto Benigni (Italy), Ingmar Bergman (Sweden), Bernardo Bertolucci (Italy), Federico Fellini (Italy), Costa-Gavras (Greece), Michael Curtiz (Austria-Hungary), Miloš Forman (Czech. ), Yorgos Lanthimos (Greece), Lewis Milestone (Russia), Mike Nichols (Germany), Wolfgang Petersen (Germany), Pawel Pawlikowski (Poland), Billy Wilder (Austria-Hungary/Poland), William Wyler (Germany), and Fred Zinnemann (Austria-Hungary). There are numerous UK-born (includes NZ, and CAN) and French-born (FR) directors that have been nominated or have won: Michel Hazanavicius (FR), Tom Hooper, Danny Boyle, Peter Jackson (NZ), Roman Polanski (FR, but considered himself Polish), Sam Mendes, James Cameron (CAN), Anthony Minghella, Richard Attenborough, François Truffaut (FR), to name just a few. Mexican film-maker Alejandro Gonzalez Inarritu also won his first Best Director Oscar for the Best Picture-winning Birdman (2014), and won Best Original Screenplay for the same film. [Note: Inarritu had three previous Oscar nominations: Best Foreign Language Film Amores Perros (2000, Mex. ), and Best Director/ Best Picture for Babel (2006).] The next year, he also won Best Director for Best Picture-nominated The Revenant (2015). He became the first person in 65 years and only the third ever to win back-to-back Best Director Oscars since Joseph L. Mankiewicz's A Letter To Three Wives (1949) and All About Eve (1950), and only the third in history, also after John Ford's The Grapes Of Wrath (1940) and How Green Was My Valley (1941). Mexican film director Alfonso Cuarón was nominated for the first time as Best Director in 2013 and won the Oscar for Gravity (2013). He was the first Mexican-born director to win Best Director. He also received a Best Director Oscar for Roma (2018, Mex./US), voted the Best Foreign Language Film. With his Best Director win for Roma (2018), Cuarón became the first person to win Best Director for directing a foreign-language film. In fact, Cuaron received a total of four individual nominations (with two wins): Best Original Screenplay, Best Director (win), Best Cinematography (win), and Best Picture for Roma (2018) - thereby tying the record of most decorated Oscar nominee ever, with previous nominees Orson Welles (for Citizen Kane (1941)) and Warren Beatty (twice for Reds (1981) and Heaven Can Wait (1978). Ang Lee was the first Asian (or non-white) filmmaker to win Hollywood's main filmmaking honor for Brokeback Mountain (2005). He also won Best Director for Life of Pi (2012). He was also nominated as Best Director for Crouching Tiger, Hidden Dragon (2000). Other Asian Best Director nominees include Hiroshi Teshigahara for Woman in the Dunes (1964), Akira Kurosawa for Ran (1985), and M. Night Shyamalan for The Sixth Sense (1999). In 2012, German-born directorial nominee Michael Haneke was nominated as Best Director for Amour (2012, Austria). Frenchman Michel Hazanavicius won for The Artist (2011). In 2006, Alejandro González Iñárritu was the first Mexican director nominated for the top prize for Babel (2006). French film director Michel Hazanavicius was nominated for The Artist (2011). In the year 2006, the Mexican directing troika of Alejandro González Iñárritu, Guillermo del Toro and Alfonso Cuaron took a combined 16 nominations for their films Babel (2006) (with seven nominations), Pan's Labyrinth (2006) (with six nominations) and Children of Men (2006) (with three nominations), respectively. For the 2004 awards, Brazilian-born Fernando Meirelles was nominated as Best Director for City of God (2002) (aka Cidade de Deus). The first Canadian to win Best Director was James Cameron, for Titanic (1997). There is a direct correlation between the Best Picture and Director awards. Usually, the film voted Best Picture has been directed by the person named (or at least nominated) as Best Director. In a number of cases, however, the Best Picture win went to one film and Best Director went to another even though the helmer of the big winner was nominated. Of the 91 films (through the year 2018) that have been awarded Best Picture, 64 have also been awarded Best Director. About a quarter of the time, however, in Academy history, the Best Picture and Best Director winners have been for different films. The Oscars (through the year 2018) have split Best Picture and Best Director 26 times: see years 2018, 2016, 2015, 2013, 2012, 2005, 2002, 2000, 1998, 1989, 1981, 1972, 1967, 1956, 1952, 1951, 1949, 1948, 1940, 1937, 1936, 1935, 1931/32, 1930/31, 1928/29, 1927/28 (two Best Director co-winners didn't win Best Picture). Up until 2015, William Wyler held the record for the most nominations and wins for his films in all categories: 127 nominations and 39 awards. Half of the nominations he received were in the major categories of Best Picture, Acting, and Directing. With his Best Picture nomination for Bridge of Spies (2015), Spielberg's films have now earned 128 nominations, the most of any director of all time, passing up William Wyler (127). William Wyler holds the record for directing more Best Picture nominees (13) and more Best Picture winners (3) than anyone else. Wyler also has 12 Best Director nominations, and 3 awards. There is much overlap with the above list. William Wyler directed more nominated and winning acting performances (36 and 14, respectively - not counting Honorary Awards), than anyone in history (see below). Elia Kazan directed 24 actors/actresses to Academy Award nominations with 9 performers proceeding on to win Academy Awards (James Dunn in A Tree Grows in Brooklyn (1945), Celeste Holm in Gentleman's Agreement (1947), Karl Malden, Vivien Leigh, and Kim Hunter in A Streetcar Named Desire (1951), Anthony Quinn in Viva Zapata! (1952), Marlon Brando and Eva Marie Saint in On the Waterfront (1954), and Jo Van Fleet in East of Eden (1955)). Martin Scorsese directed 22 nominated performers to 5 Oscars (Ellen Burstyn in Alice Doesn't Live Here Anymore (1974), Robert DeNiro in Raging Bull (1980), Paul Newman in The Color of Money (1986), Joe Pesci in GoodFellas (1990), and Cate Blanchett in The Aviator (2004)). George Cukor directed 21 nominated actors/actresses who went on to win 5 Oscars (James Stewart in The Philadelphia Story (1940), Ingrid Bergman in Gaslight (1944), Ronald Colman in A Double Life (1947), Judy Holliday in Born Yesterday (1950), and Rex Harrison in My Fair Lady (1964)). Fred Zinnemann directed 20 nominated performers to 6 Oscars (Gary Cooper in High Noon (1952), Frank Sinatra and Donna Reed in From Here to Eternity (1953), Paul Scofield in A Man for All Seasons (1966), and Vanessa Redgrave and Jason Robards in Julia (1977)). Woody Allen directed 18 nominated performers to 7 Oscar wins (Diane Keaton in Annie Hall (1977), Michael Caine and Dianne Wiest in Hannah and Her Sisters (1986), Dianne Wiest in Bullets Over Broadway (1994), Mira Sorvino in Mighty Aphrodite (1995), Penelope Cruz in Vicky Cristina Barcelona (2008), and Cate Blanchett in Blue Jasmine (2013)). To date, Taylor Hackford is the only director to have directed two black actors to Oscar-winning performances: Louis Gossett Jr. in An Officer and a Gentleman (1982) and Jamie Foxx in Ray (2004). And Martin Ritt was also the only one to direct four black performers to four nominations in three films: The Great White Hope (1970) (James Earl Jones, Lead), Sounder (1972) (Cicely Tyson and Paul Winfield, Leads), and Cross Creek (1983) (Alfre Woodard, Supporting). The only acting performance in an Alfred Hitchcock-directed film to win an Oscar was Joan Fontaine in Suspicion (1941), in the role of harried wife Lina McLaidlaw, opposite Cary Grant. The only Academy Award-winning performance in a Stanley Kubrick-directed film was Peter Ustinov, who won the Best Supporting Actor Award (his first Oscar win) for his role as slave trader Lentulus Batiatus in Spartacus (1960). Siblings Warren Beatty (Best Director for Reds (1981)) and Shirley MacLaine (Best Actress for Terms of Endearment (1983)) were also related Oscar winners. Joanne Woodward was nominated as Best Actress for Rachel Rachel (1968), a Best Picture-nominated film directed by her husband Paul Newman. Susan Sarandon won the Best Actress Oscar for Dead Man Walking (1995) (directed by her Best Director-nominated husband (unofficial live-in) Tim Robbins). She became the first star to win in a film directed by a spouse. Robbins did not win Best Director. Otherwise, it would be Frances McDormand who also won the Best Actress Oscar for Fargo (1996), directed by her spouse, nominated husband Joel Coen. McDormand's brother-in-law, Ethan Coen, was the film's producer. Diane Keaton, nominated for Best Actress for Best Director-winning Woody Allen's Annie Hall (1977), won the Oscar - although romantically linked to Woody Allen, she was never married to him. To date, no female directors have had their starring husbands receive an Oscar nod. Seven out of the first eleven Best Director Oscars were won by men named Frank: Frank Borzage, Frank Lloyd, and Frank Capra. With two nominations for Best Director, for Juno (2007) and Up in the Air (2009), 32 year-old Jason Reitman became the youngest filmmaker to have received two Oscar nominations for Best Director.